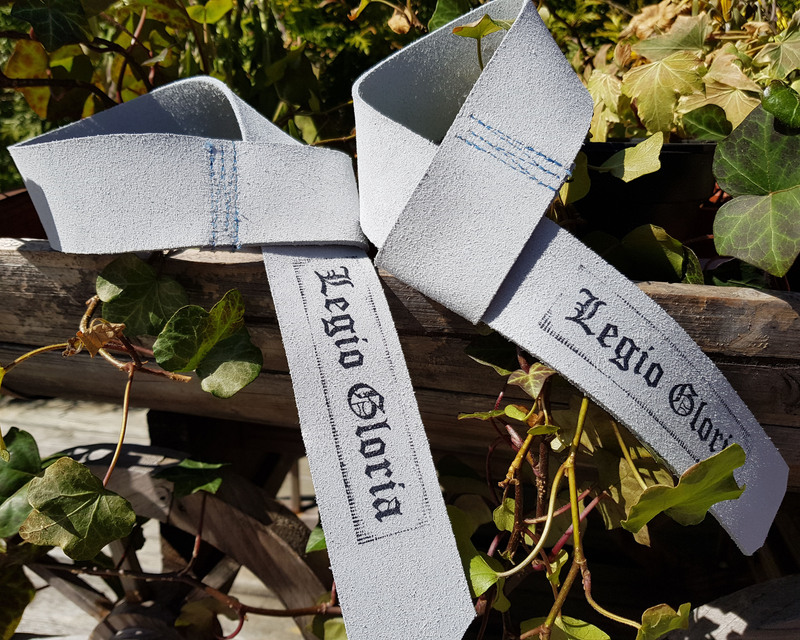 It is my great pleasure to announce the new releases for Legio Gloria and to take this opportunity to elaborate a bit on the company and the philosophy behind it. The philosophy is beautiful in its simplicity. I want the clothes to be the best they can be, I want to aim as high as possible. I never saw any reason in settling for less. Moreover, this is a long-term endeavour, this is not about quick monetary gain (read more about that here). In fact I have yet to take out any financial assets from the company. I have reinvested everything to be able to bring out more and better products. 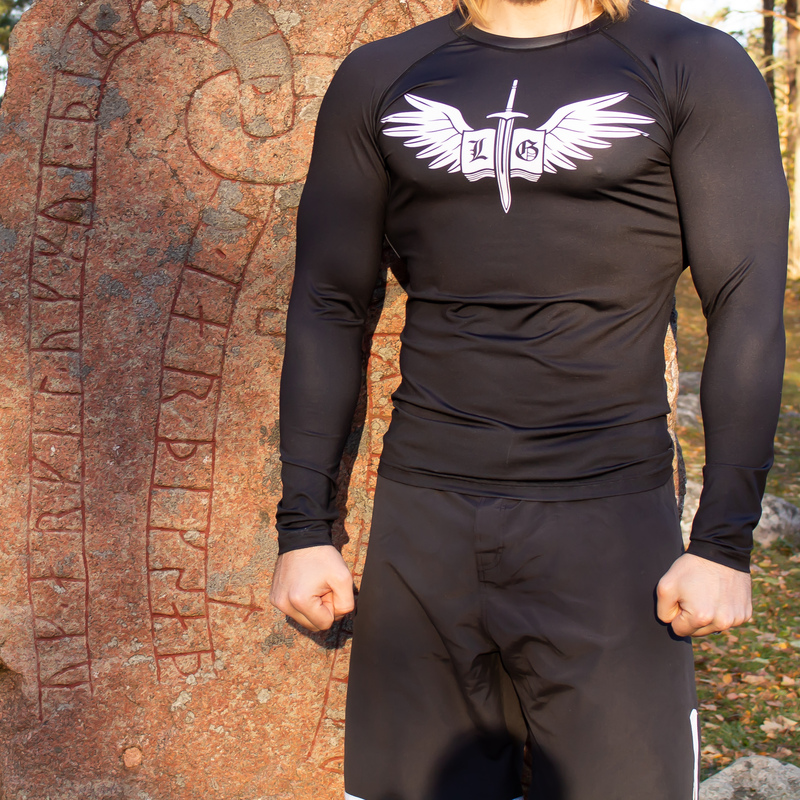 The clothing (the same applies for the training gear and supplements) are closely linked with my own personal honour. The absolute majority of customers are people that put their trust in me, therefore it is my sacred duty to maintain this trust. Thus it is always very satisfactory to receive praise and confirmation that this trust was well placed. This goes beyond clothing and supplements; my word is of supreme importance for everything I do. Maintaining this trust will be important for all coming endeavours as well (whatever they might be). That is why I put so much work into the company and why I view it in the long-term. 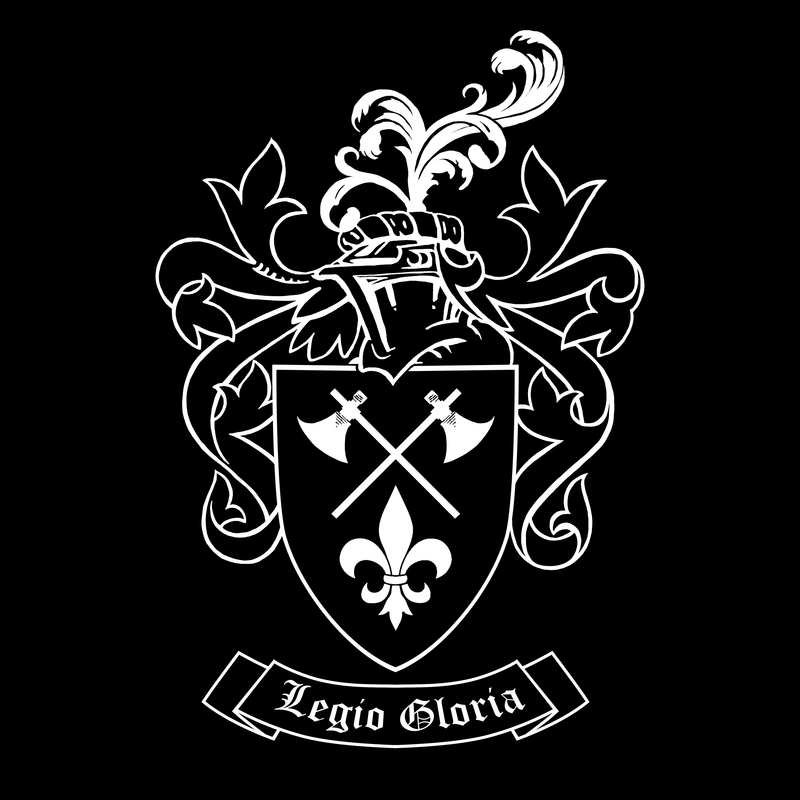 Furthermore, Legio Gloria is not only meant to be a clothing brand, it is supposed to be a lifestyle and a philosophy, a metaphysical legion if you will. There are so many young men cast adrift in the Modern World without access to many of the things our ancestors had access to; a Männerbund and a thriving local community for example, or a shared worldview with your peers. Being the only high Thumos guy among numales at the university or being surrounded by self-hating Whites or people not of your tribe can indeed be a less than enjoyable experience. Knowing that there are others in a similar situation makes it easier. First of the releases is the long awaited re-release of the Byzantine Black Sun. The Byzantine eagle stands for European unity, something that is needed more than ever before. The Black Sun stands for a spiritual awakening, something that also is needed more than ever before. Un-Enlightened individuals might find the Black Sun controversial, so keep this in mind; wearing it also means that you must be able to back it up. 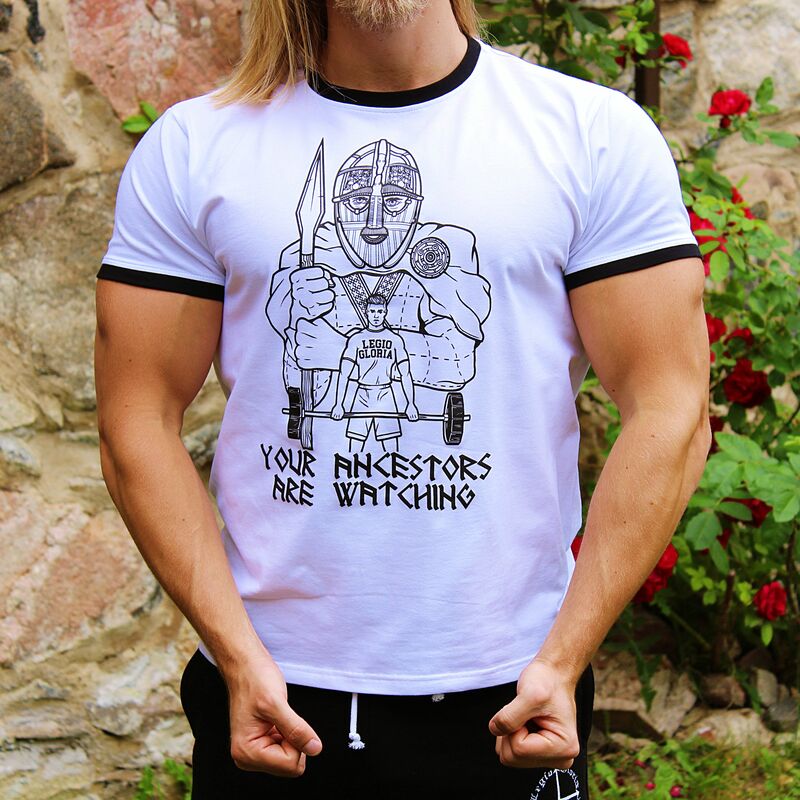 The Legio Gloria Weaponshield T-Shirt is just as the Byzantine Black Sun remade with a different cut; it is larger in the chest and the arms go a bit higher (so your guns are being shown at all times). Wear this garment with a firm gaze and a straight back. 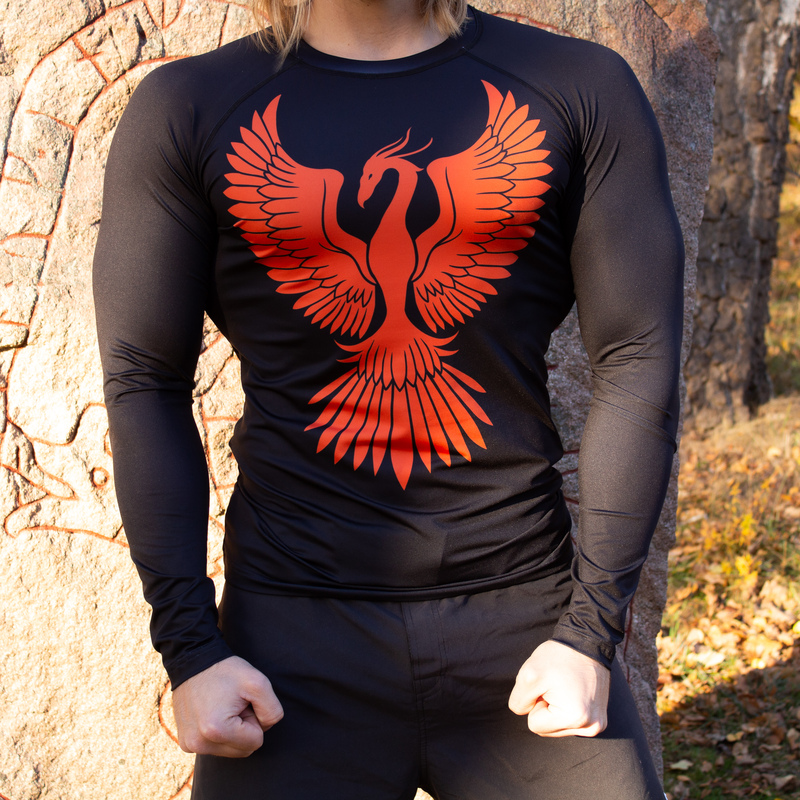 We have also released two different rashguards. The Phoenix symbolises Evropa (Western Civilisation – or European Civilisation) reborn from the ashes of its death. The sword and book emblem symbolises the struggle for Enlightenment, both physical and metaphysical. The sword stands for the physical part and the book for the metaphysical part. The wings stand for righteousness. Both designs are meant to give you a boost in inspiration whilst training hard. I always use various mental techniques when training (in order to push myself harder – before a heavy lift or at the last rounds of sparring), these designs have a similar purpose: When you are tired – look yourself in the mirror to remind yourself that you are training for a higher purpose. The Dragon Prince Swimming Shorts were perhaps a bit oddly timed, being released in November (perfect time for Yule/Christmas though 🙂 ). However, they took some time to get right and, yet again, since the purpose of the clothes is to be worn for a long time they will be equally testosteronous to wear come Summer – or now, if you are located in more tropical environments. The artwork is inspired by St. Göran och Draken (St. George and the Dragon), which is a common figure in European history. The Swedish version commemorates victories over Denmark (the dragon). This version is to symbolise your victory over an enemy – whatever that enemy might be (detrimental addictions or other troubles for example). If you think that these shorts are extremely aesthetic (which they are), but do not think you are in good enough shape yet to be worthy of wearing them; make sure to train very hard until next Summer. I am proud to announce three new releases for Legio Gloria. First and foremost is the third version of our popular Handsome Shorts. The original Handsome Shorts were released last Summer, and I have trained many a gym session in them over the Autumn and Winter. Although, I was very satisfied with them I knew they could be improved to be a bit more comfortable in the Temple of Iron, thus we added some elastan to the garment making it a bit more flexible (always good when squatting). 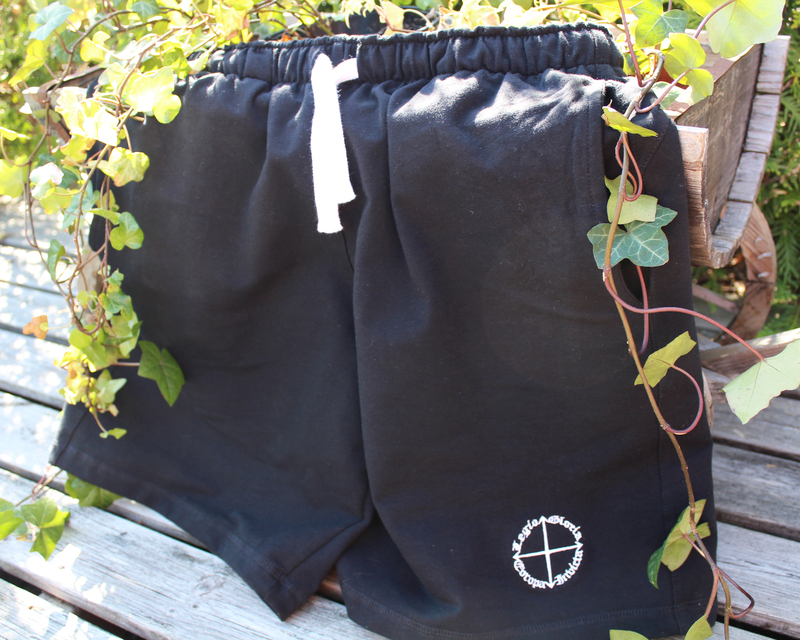 The Handsome Shorts: Mark II were (and still are) a very solid pair of shorts to train in. 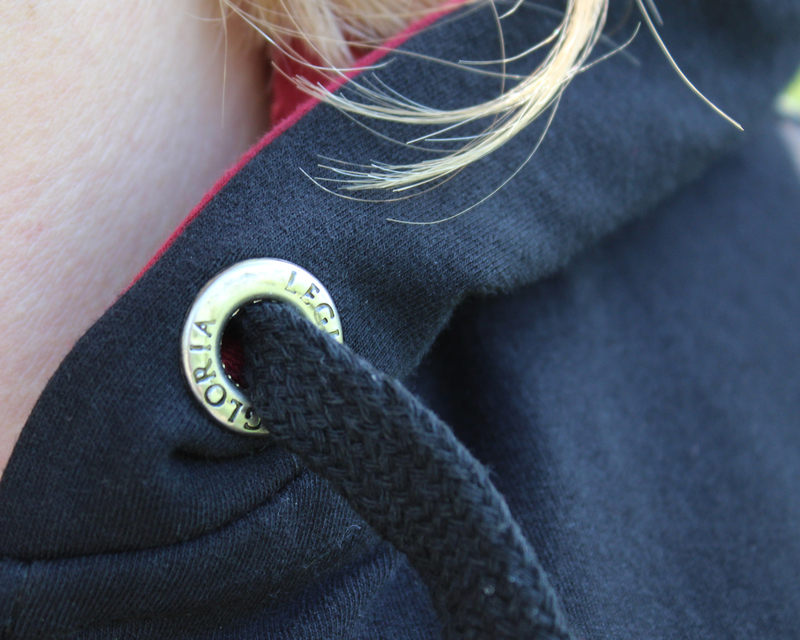 The alterations we made this time around was to add metal rings to optimise the aesthetics of the garment, as well as to optimise their functionality by making the pockets a bit deeper, in accord with my own assessment and per the feedback of some of our valued customers. The name itself; Handsome Shorts, it is derived from a quote in the Horus Heresy book Know No Fear, where the Primarch Guilliman is being described in the following manner: “He is handsome, in a plain way. He is handsome the way a regent on an old coin is handsome, like a good sword is handsome.” I thought this was an adequate description of the shorts as well, since they are in fact handsome in a plain way. 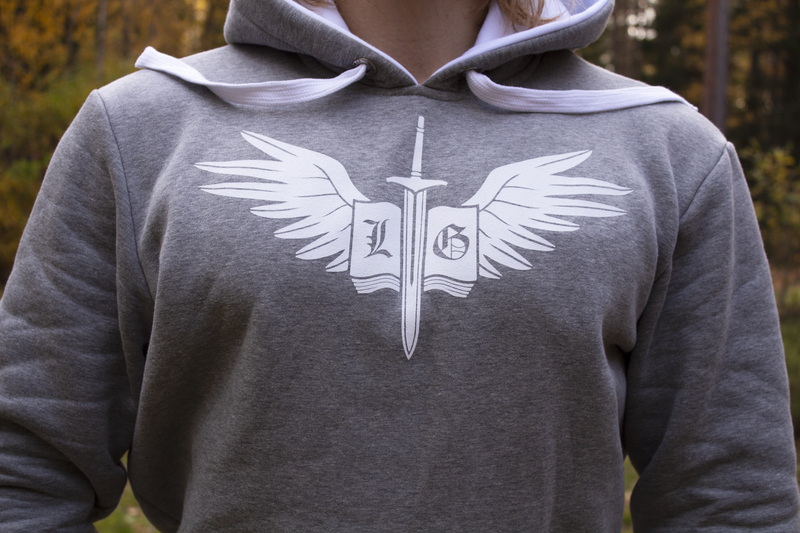 The next release is the Mithrandir Exploration Hoodie. The name explains its purpose; Mithrandir is the Elven name for Gandalf and means grey wanderer. 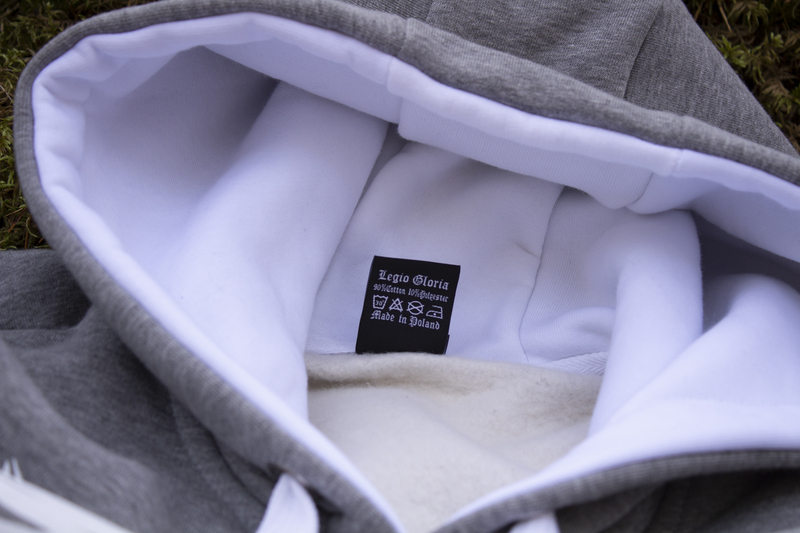 Although it can definitely be utilised as a gym hoodie it is designed to be a bit warmer than a regular hoodie, making it well suited to exploring this beautiful world of ours, especially as the weather gets a bit colder. The emblem on the chest symbolises the struggle for Enlightenment, both physical and metaphysical. The sword stands for the physical part and the book for the metaphysical part. 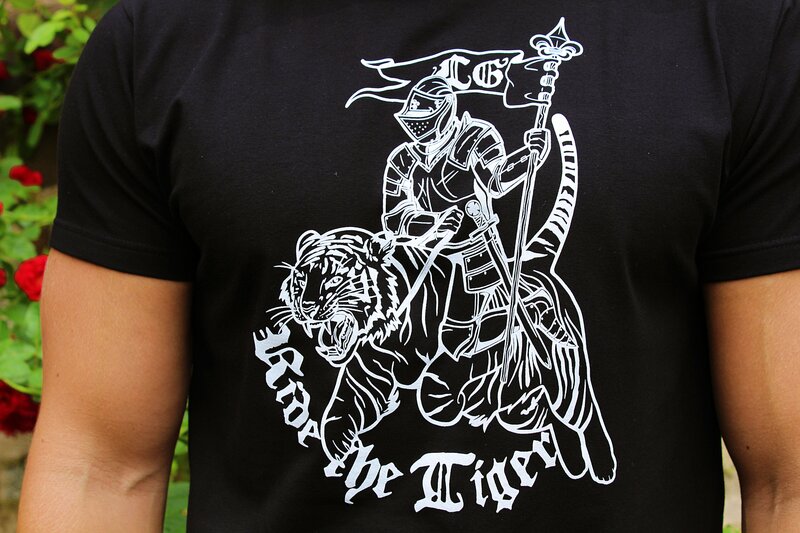 Wear this garment with pride; it is meant to be worn only by those who live by the ideal. 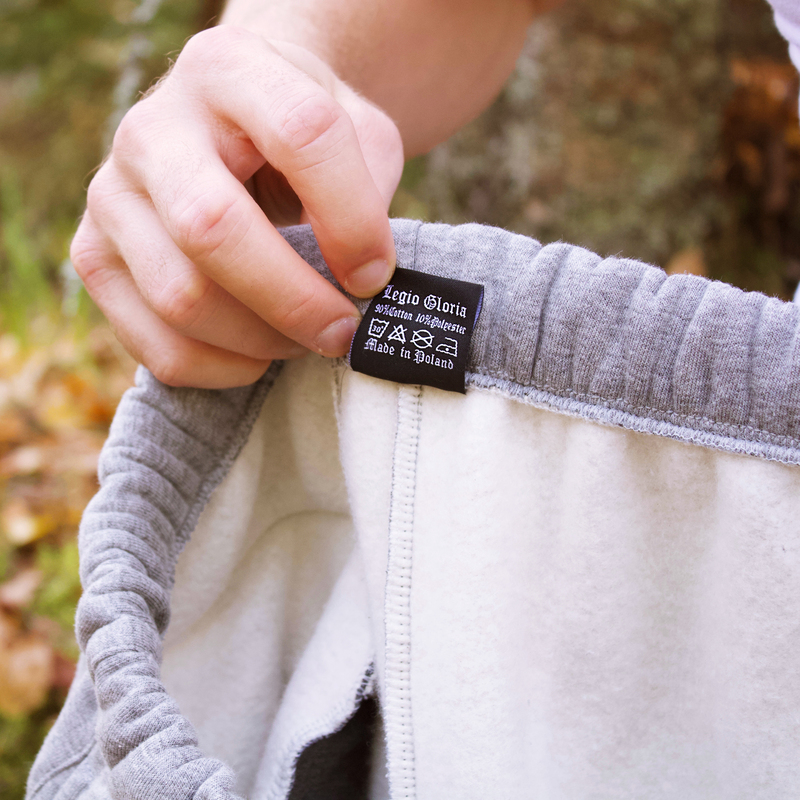 Lastly, the Handsome Exploration Tracksuit Bottoms are just as the hoodie designed to be a bit warmer, making it suitable to wear as the weather gets colder. Proudly made in Poland – as is all of our garments. Lastly, we have a lot of new releases incoming in a few weeks (including the long awaited Forbidden Garment) so stay tuned for that. 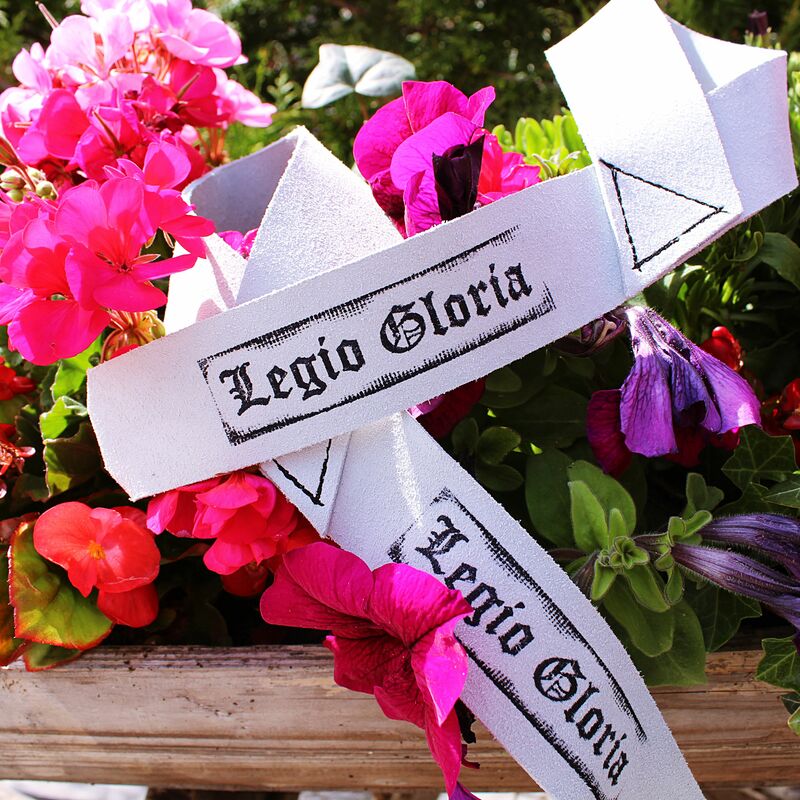 We have released two new garments for Legio Gloria. 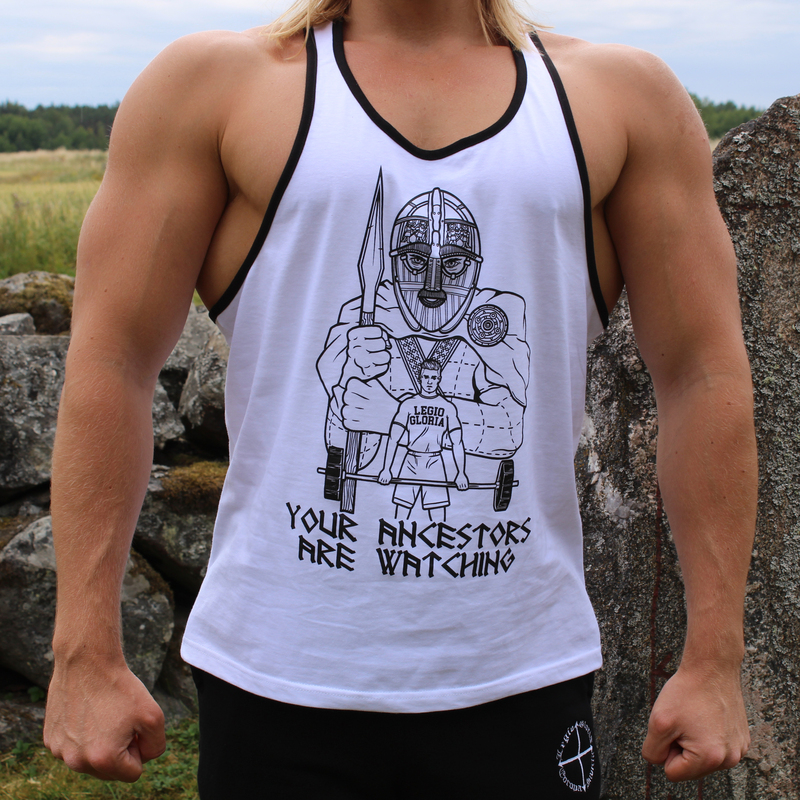 The Valknut Tanktop and the Lionheart Handsome Shorts. Both are proudly made in Poland. 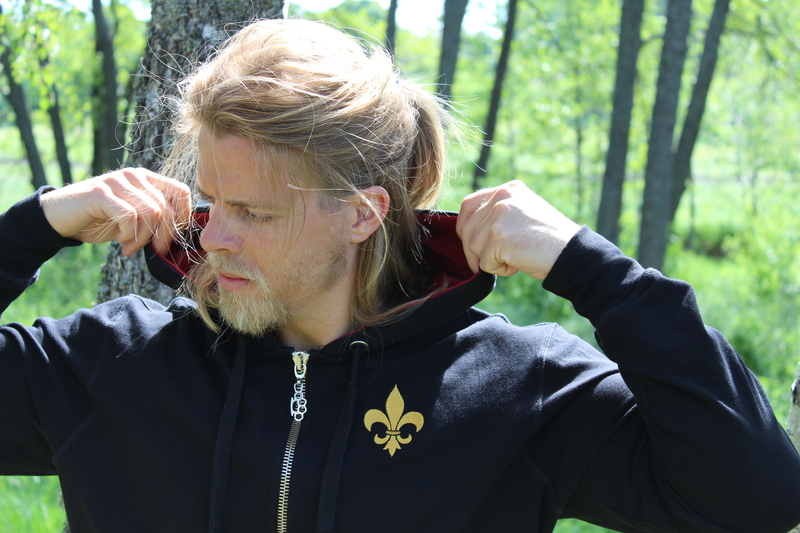 Moreover, we have restocked several other garments, such as the Pagan Nature and Gym Hoodie and the Lord Byron’s Cultured Thug. 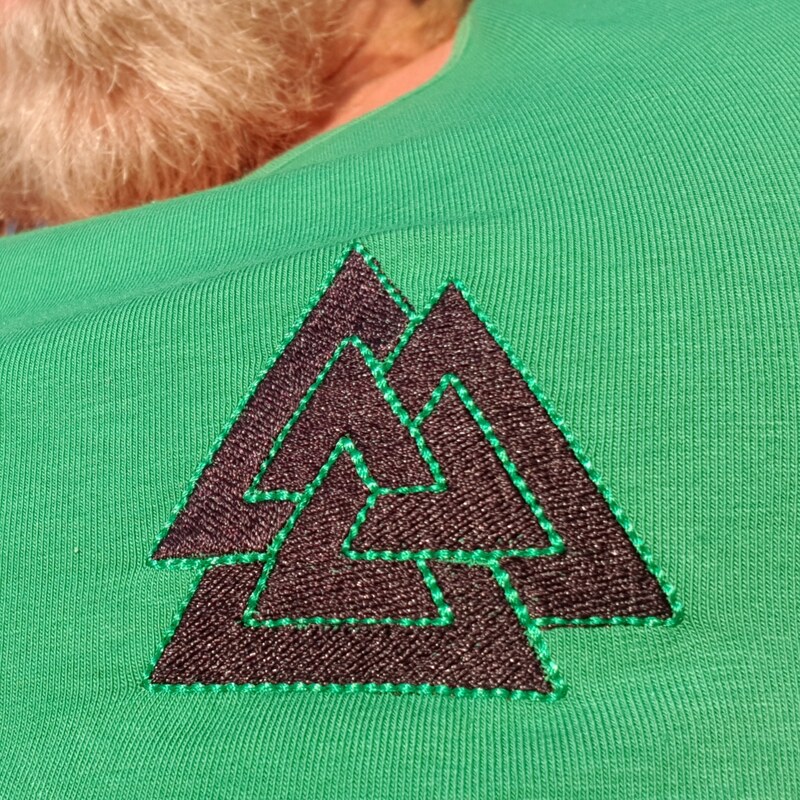 The aesthetics of the brand will be inspired by mythology and folklore, something that has always been close to my heart. Moreover, the aim with the brand is to serve as a solid point of knowledge in a sea of questionable content. Simply put, there are plenty of brands run by people without adequate nutritional wisdom, or more importantly, who does not go along the path of honour. I know that my customers are my supporters, this is a huge motivating factor for putting out the best products (along with the fact that I will use them myself). Selling a product to someone who trusts you creates a high level of accountability. I revel in this high level of accountability as it pushes me further along the path of excellence (I strive for excellence in all of my endeavours). Below I have listed the first products. These are essentially what I use (and since I want to use my own products I started with these). More products will appear gradually. 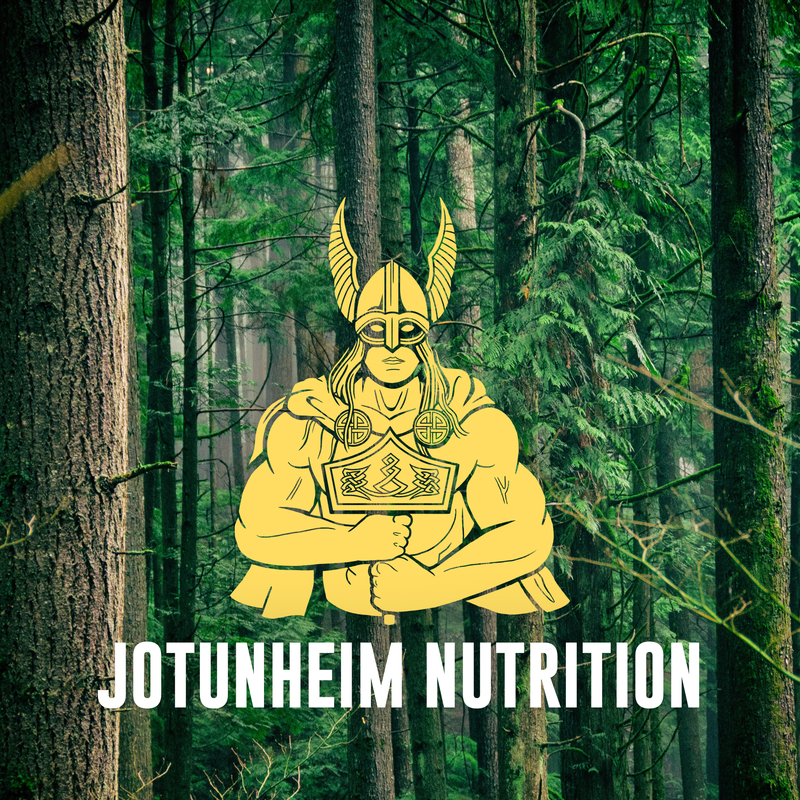 Some of those include; Creatine Monohydrate, Vitamin D, Omega-3, Vegan Protein Powder (with Stevia) and Magnesium (in addition to new products we will also release new flavours and versions of the current products). In addition to adding products to the store we will also add countries to the list we sell to. We are currently selling to the following countries: Sweden, Denmark, Finland, Estonia, Germany, Austria, Netherlands, Belgium, France and Ireland. The United States, The United Kingdom, Canada and Norway are all high priority (many glorious lads in those countries) and in the pipeline for the coming month. The reason for this is due to issues regarding shipping and tolls (since the listed countries are not in the EU). Furthermore, I am very happy with the taste of this product, it was good on the first try (i.e. the first test sample), better at the second try and great on the third and final try. 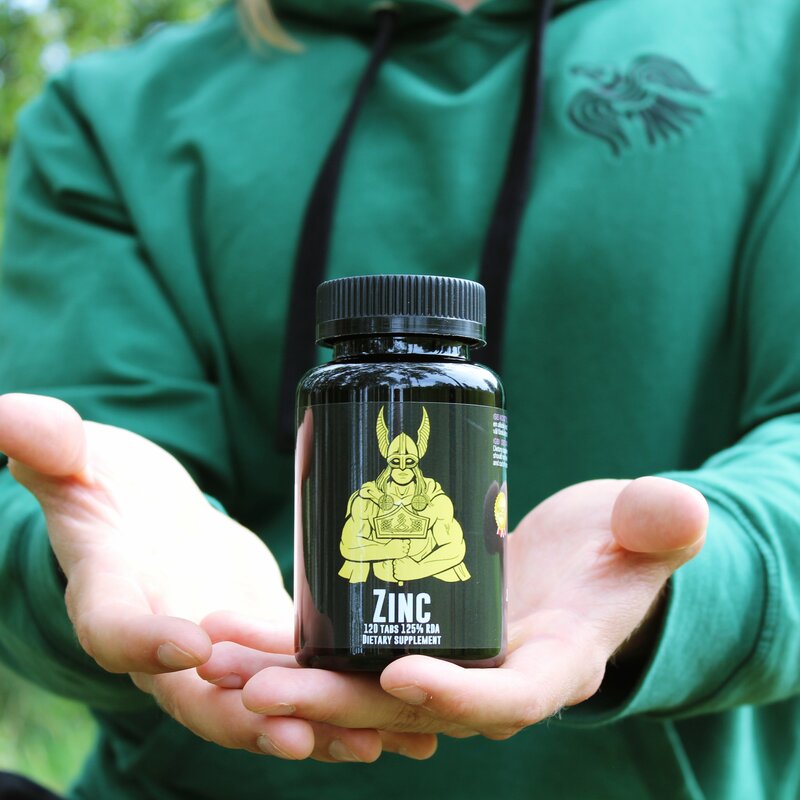 Zinc is a valuable mineral to ensure healthy testosterone levels, especially when training hard. This is a supplement in the true sense of the word. Moreover, if you are looking for a libido booster; this is it. There are several supplements being marketed as testosterone boosters, many of questionable nature. Zinc, however, is a true friend indeed. 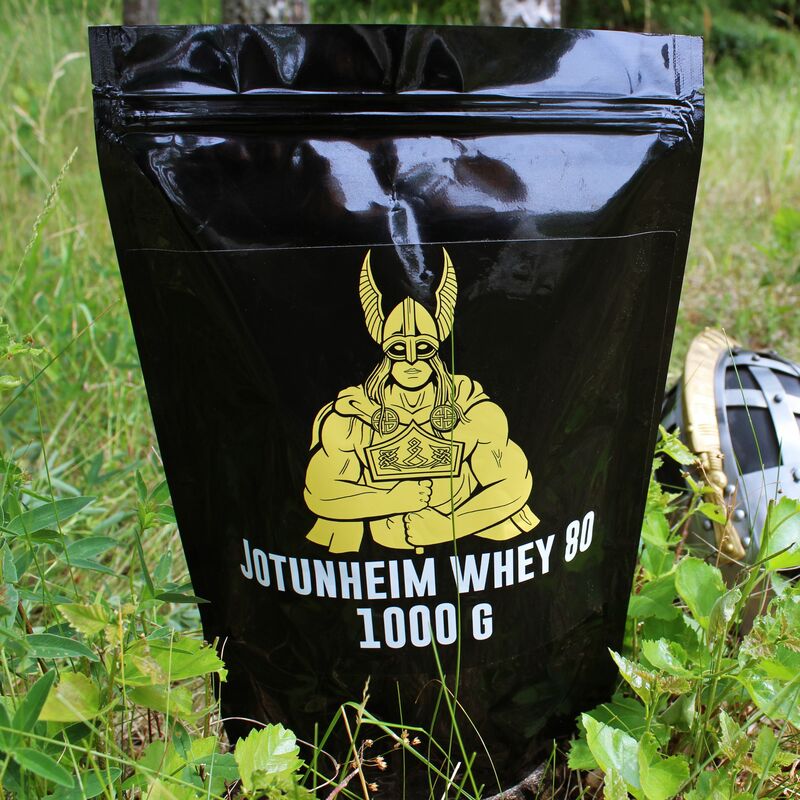 Whey (and protein powder in general) is technically speaking not a supplement; but rather food. The optimal amount of protein required to build muscles may differ between individuals but a good aim is 1,6-1,8 grams of protein per kg of bodyweight. I prefer drinking whey to bolster my protein intake (which usually lands at around 170 g on a regular day) rather than eating more meat. Whey and eggs has been the mainstay of my diet over these last years. The Pear-Vanilla taste is legitimately a tasty product. The Chocolate Whey is also tasty. The shaker is made in accord with what I wanted to use myself; an aesthetically pleasing design with material that is free from toxic plastic (only toxic masculinity here! ), the shaker is made in gallant Hungary. Thank you for reading, have an epic week. 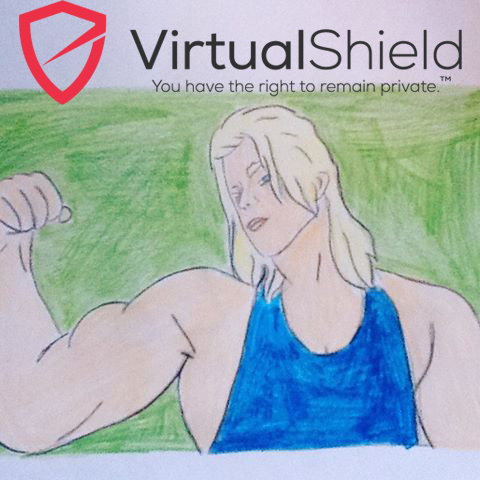 I have recently created an affiliate account at VirtualShield (as I believe in online privacy and security). If you want to sign up for a membership; use my affiliate link to support my work: VirtualShield. Lord of the Rings has many great themes. One of my favourites is the battle between the environment and the industry (the Ents of Fangorn vs Isengard). Which is an excellent critique by Tolkien of the Industrial Revolution, and translated to our day: rampant Free Market Capitalism vs Mother Earth (so same battle for all three). As I have stated before I am all for Capitalism that is dictated by certain principles. Such as principles of sustainability. For example: fishing is acceptable. Completely depopulating the oceans of fish is not acceptable. Plenty more of examples can be found. We don’t have all the answers right now but incorporating a sense of Nature in our metapolitical and cultural struggle is of paramount importance. For more information check out this video I recently made. It is our great pleasure to announce a few additions to the Hanseatic Clothing Store. 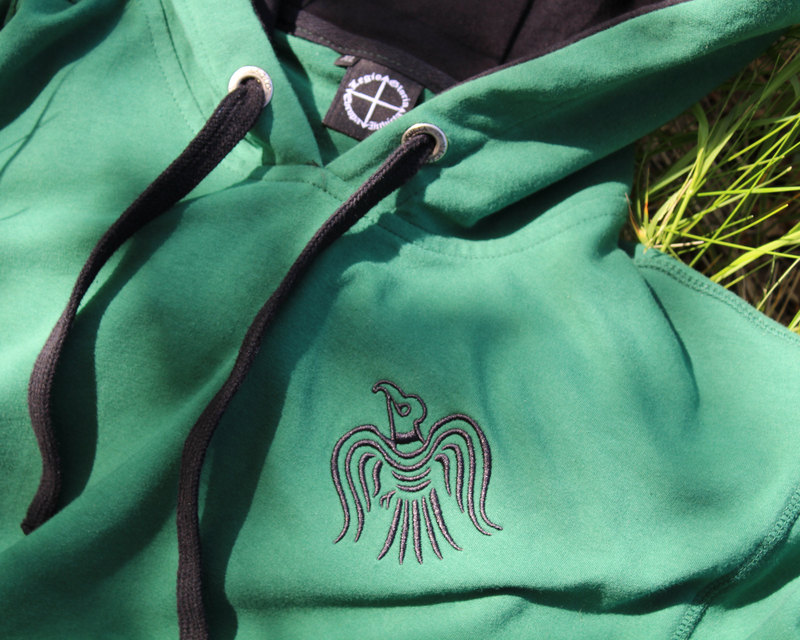 First and foremost we have the Pagan Nature and Gym Hoodie, which is made out of a thinner material and is thus suitable for endeavours during the Spring, Summer and early Autumn. 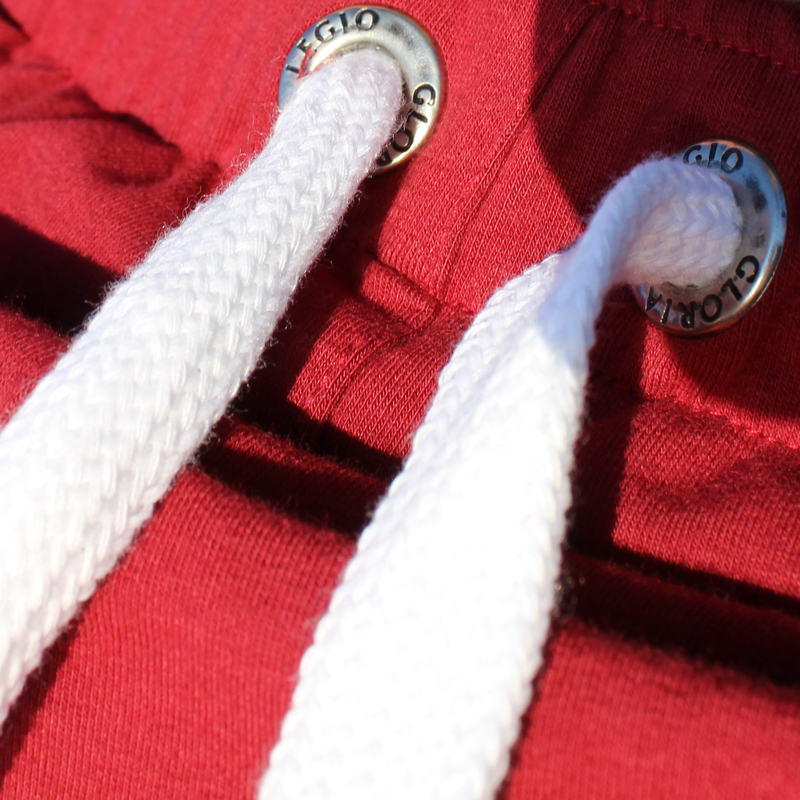 It is also made with a bit of stretch in it to ensure a good and comfortable fit. 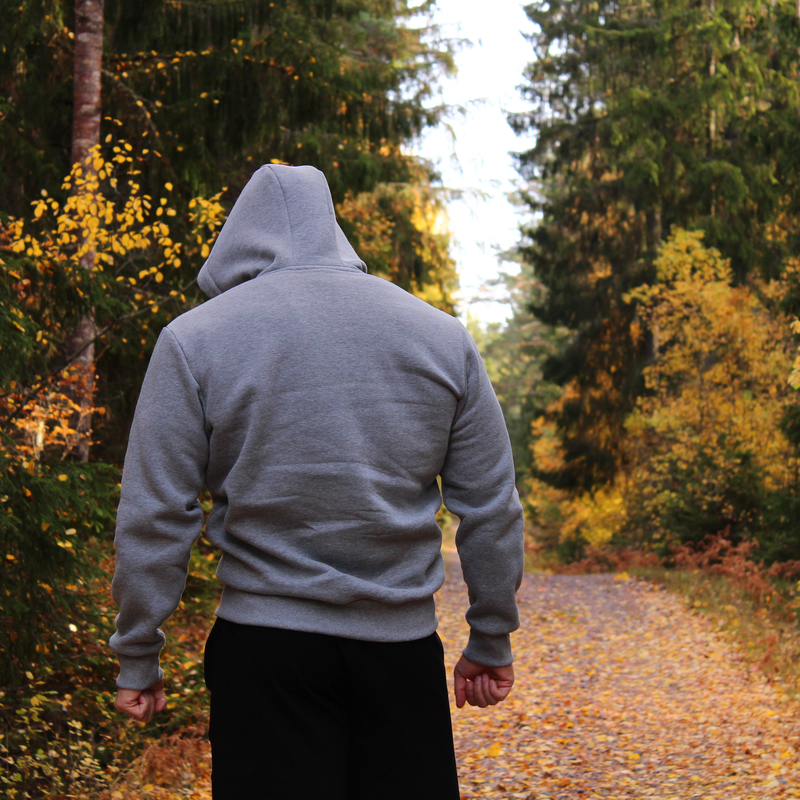 Regarding the name it is a description of its purpose, the hoodie is suited for both being out in nature and being in the gym. The Raven is a beautiful Pagan symbol for those who which to represent the Old Gods. Except for the Zealot’s Delight this is my personal favourite from our line. Proudly made in Poland. Next up we have a pair of high quality lifting straps. 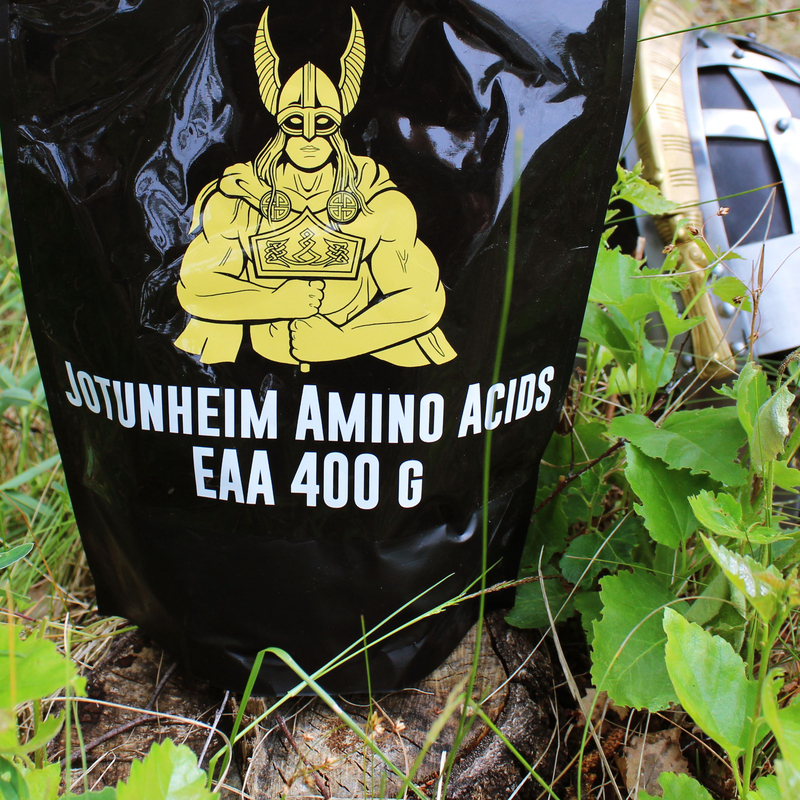 Very proud to be able to list these as made in Sweden. The colours are a light blue-grey with a thin print of black. The print might fade as the time goes on, as a testament to your hard work in the gym. The leather itself though, should be as durable as Gleipnir, which is the binding that holds the mighty wolf Fenrir. Recommended use: All heavy pulling movements, such as deadlifts, weighted chins, and shrugs. On the lighter pulling movements it is recommended to go without straps as to train your grip strength as well. 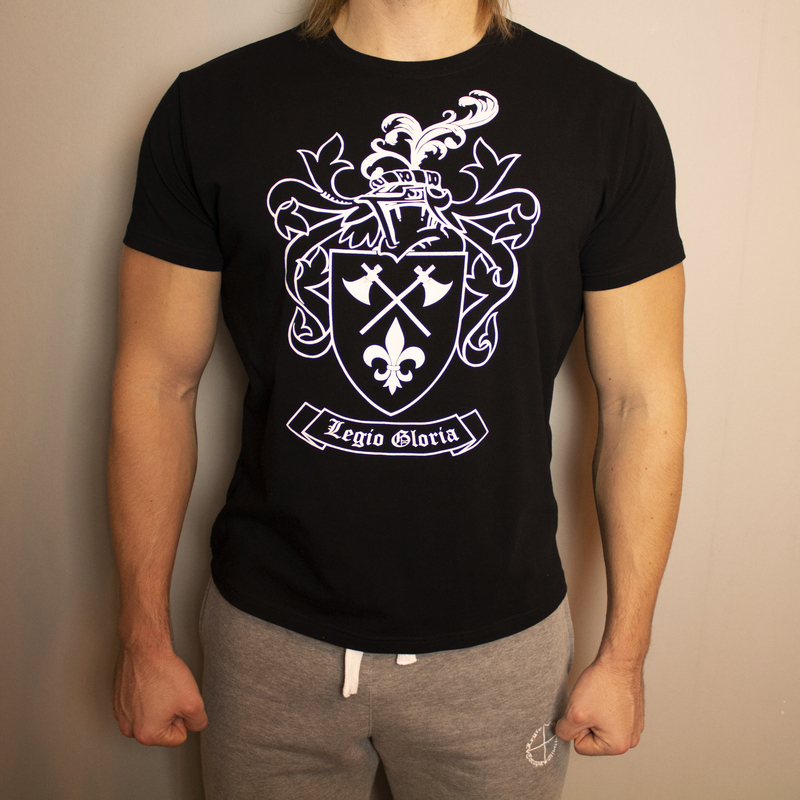 The design represents this aspect with two details; the Fleur-de-Lis stands for the cultured aspect (i.e. the strive for intellectual prowess) and the brass knuckle zipper stands for the thug aspect (i.e. the strive for martial prowess). It is a similar metaphor to that of the sword and the book; the combination of physical and intellectual capacity. 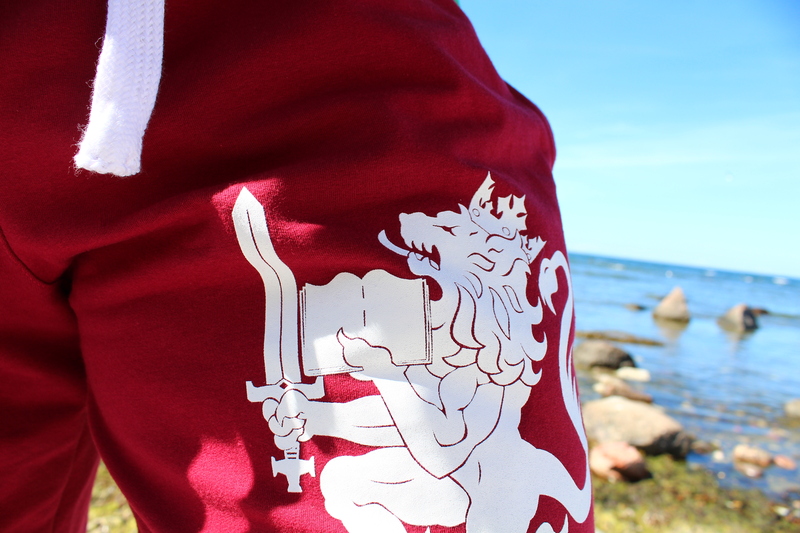 Lastly, we have the Handsome Shorts Mark II. These are aesthetically speaking essentially the same as the previous edition. The difference is in the material; whereas the first edition of the Handsome Shorts were made out of 100% cotton, the Handsome Shorts Mark II are made with 92% cotton and 8% elastan. The reason for the change is beautiful in its simplicity; elastan gives you a bit more flexibility and comfort when engaging in athletic endeavours. We took a good product and made it a bit better (better as in more suited to the purpose). Note, due to the extremely aesthetic nature of the garments some of them are already out of stock. This has been a long time in the making; ever since I faced the stark choice of standing by my beliefs versus retaining a rather prosperous sponsorship. Honour and loyalty is everything so I could not back down; the choice was easy, I had to push forward and forge my own path. 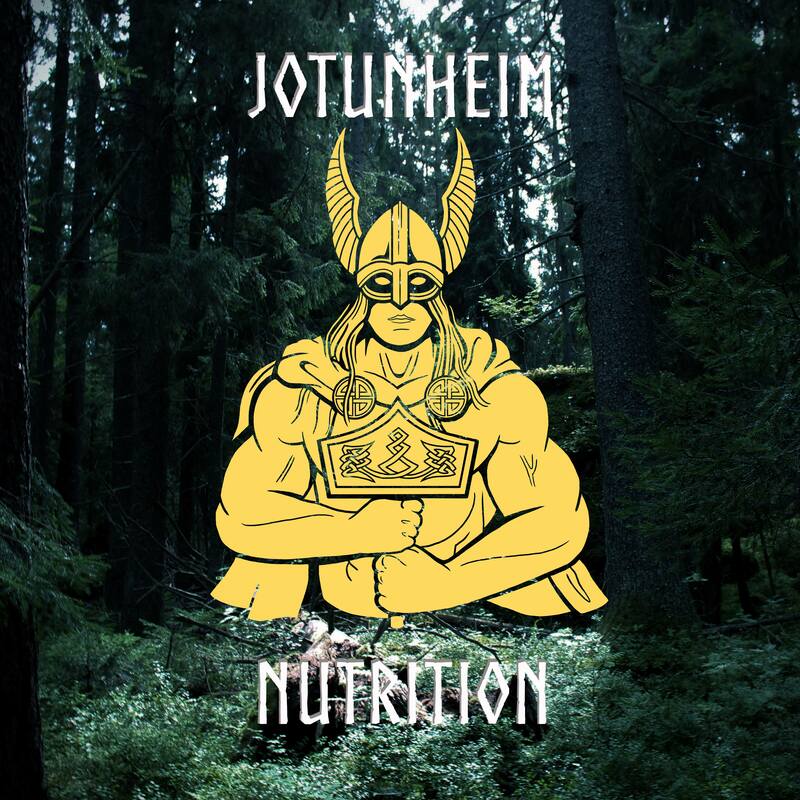 After many trials and hard work I am thus extremely happy to announce Jotunheim Nutrition. Stay tuned for a high testosterone launch this June. Our plan is beautiful in its simplicity. 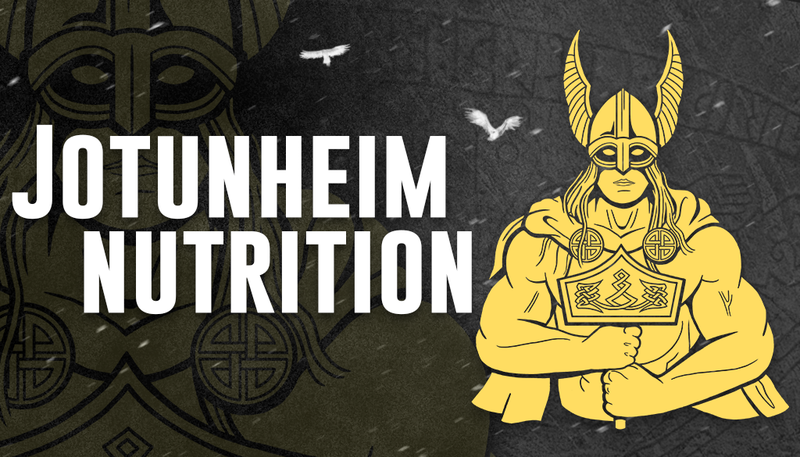 Supply high quality supplements for the Disciples of the Iron. The philosophy for the products is straight-forward: We will not sell anything that I do not recommend – which means only legitimate products will be available, and products I will use myself. 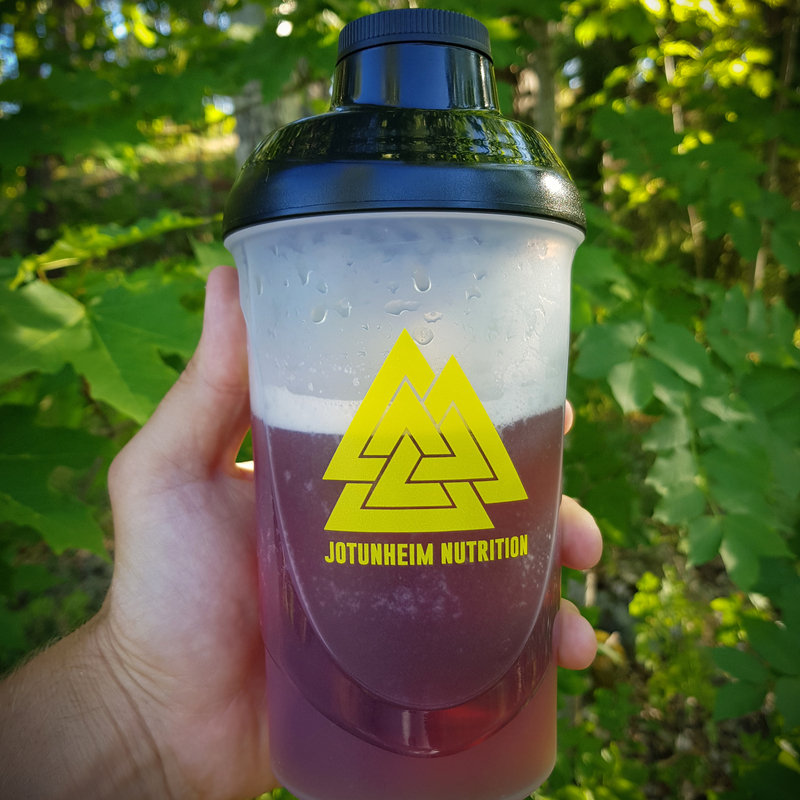 In addition to supplying high quality supplements made in Sweden, we will also aim at promoting a healthy lifestyle and a reawakening of European mythology.